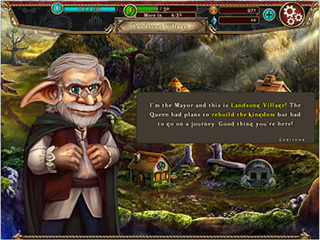 Awakening Kingdoms is a free hidden object game with a lot of puzzles. The free games like that are not usually as good as the ones you have to pay at least something for, and that's understandable. This one seems to offer quite a good product. 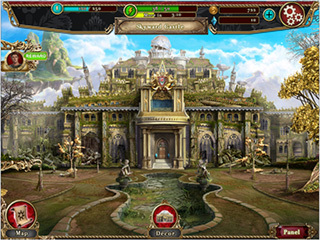 The game play is plain and simple - you solve the hidden object scenes and puzzles that come your way as you are bring order and beauty to kingdoms. There's no long and twisted story here, you are helping queen Sophia restore the kingdoms. If you are a fan of the Awakening series, you'll know who Sophia is what has happened. If you haven't played any of those games, you definitely should. The game's graphics, the kingdoms, look very majestic and beautiful. There's a lot of details and the shades and colors are used so very well. The sounds and music make the whole atmosphere even better. The game play is plain and simple - you solve the hidden object scenes and puzzles that come your way as you are bring order and beauty to kingdoms. You will have to revisit the hidden object scenes several times. They as well as the puzzles are not particularly hard. You can buy things here as you progress if you want, but it is not necessary is you are okay with waiting a bit to play more. It is really a great way to keep the fans close as we are waiting for a new Awakening release. This is Awakening Kingdoms review. Download this game here.